Anticipation for new Frank Ocean studio material has been so frenzied that somehow it seems longer than just four years since his celebrated 2012 debut “Channel Orange” heralded his arrival as a major creative force. That brilliant soul/hip-hop hybrid includes the heartrending ballad “Bad Religion,” about forbidden, unrequited love that a closeted young man feels for a male friend. The track, in tandem with Ocean’s startling public candor about his attraction to men, created a stir for both his bravery in a sub-genre often viewed as being less than tolerant toward homosexuality (although support for Ocean far eclipsed any negative outcry) as well as for its riveting honesty. The genre-tripping collection, also highlighted by marvelous gems such as “Pyramids” and “Monks,” was hailed by critics and fans as a masterpiece and it landed on many year-end “best of” 2012 lists. Speculation over Ocean’s next move has been almost obsessive. Every hint, comment and potential clue about the follow-up to “Channel Orange” launched a mixture of feverish anticipation and consternation by fans battling impatience while salivating over the prospect of hearing what Ocean would turn out next. Ocean finally ended the long wait with a pair of strong projects: a visual album called “Endless” that dropped on Aug. 19, and the breathlessly awaited new studio release, “Blonde,” on the following day. Despite being defiantly non-commercial in every sense of the word — there’s not a strong pop radio hook to be found — “Blonde” has already achieved massive success, shooting straight to No. 1 on the Billboard Top 200 album chart. 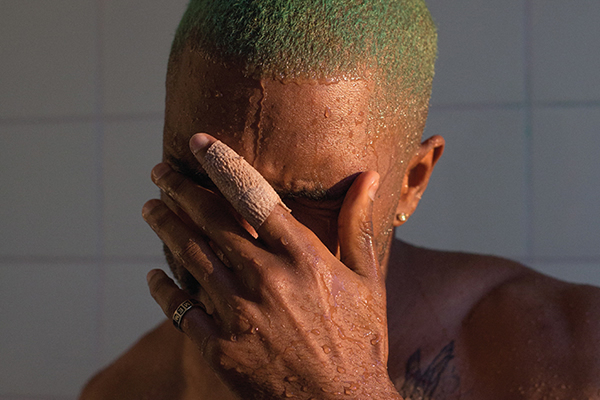 It’s interesting to note that Ocean surrounds himself with a bevy of diverse collaborators on “Blonde” and, despite this, the album has been almost universally acclaimed by critics and revered by “serious” music fans since its release. Early this year Beyoncé’s similarly vast list of contributors on “Lemonade” was viewed by some vocal critics as tacit proof that the singer is merely a pop diva propped up by those with the “real talent.” This double standard is curious, and yet not so — obvious sexism, with men often afforded more respect for their talent, has been rampant in popular music from the beginning. “Lemonade” and “Blonde” couldn’t be more different sonically and thematically, but both are bold and uncompromising works that challenge listeners and raise the bar on what standard popular music produced for mass consumption can be. Let there be no doubt, “Blonde” is a triumph. Although the endless perfectionism that led to its long gestation may be frustrating for fans, it’s difficult to argue that the end result does not justify Ocean’s meticulous attention to detail. His downtempo, idiosyncratically structured compositions fall between the cracks of any traditionally definable genre. The overall vibe is that of fragmented dreams, an intimate night of mind travel that’s languid and shrouded in smoke, mellow and contemplative but also immediate and emotionally potent. Frank Ocean is one of those rare artists with a singular voice, a unique and immediately identifiable sound that is boundlessly original yet wears its influences and forebearers on its sleeve (think R&B greats like Prince, Stevie Wonder, D’Angelo and Bill Withers merged with hip-hop pioneers like De La Soul punctured with other sonic excursions as diverse as the Beatles and Radiohead). His hypnotic tone poems wander in unexpected directions, looping a kaleidoscope of sounds, samples and vocal effects with complete disregard for the confining lines of standard pop, R&B or hip-hop. “Blonde” is not a flashy album — it’s low key, personal and obviously a work of intense importance for the artist. It’s deeply absorbing and rewarding, with tracks like lead single “Nikes,” “Pink + White,” “Self Control” and the epic closer “Futura Free” among the high points. It’s hardly about the individual tracks, though. “Blonde” is an experience, a continuous journey that’s fascinating to hear unfold. It rewards repeated and careful listens, great headphones and a wide open mind of musical curiosity.